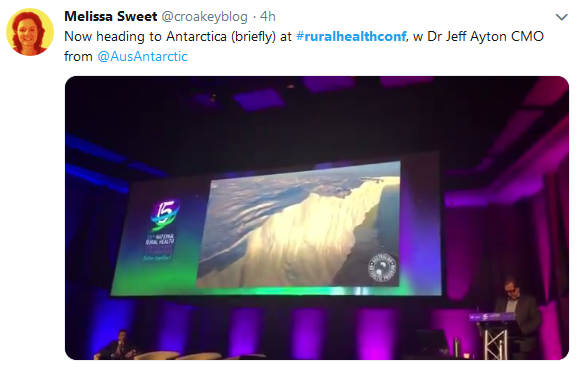 Home Croakey Conference News Service #ruralhealthconf As we fail on SDGs, can planetary health nursing save the day? 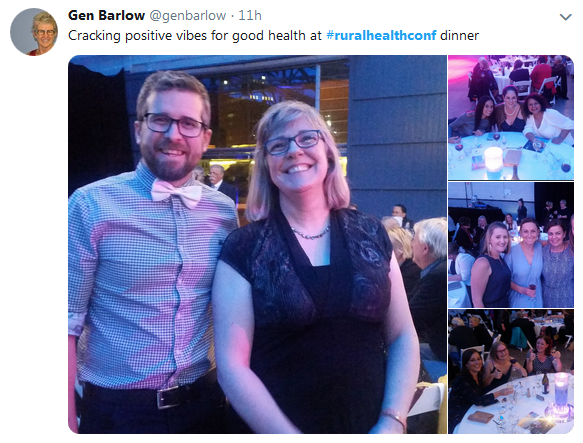 The 15th National Rural Health Conference taking place in nipaluna/Hobart this week has had a strong focus on planetary health, with calls for health professionals to engage with this sustainable approach to health. 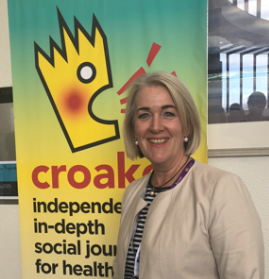 Melissa Sweet is covering #ruralhealthconf for the Croakey Conference News Service. 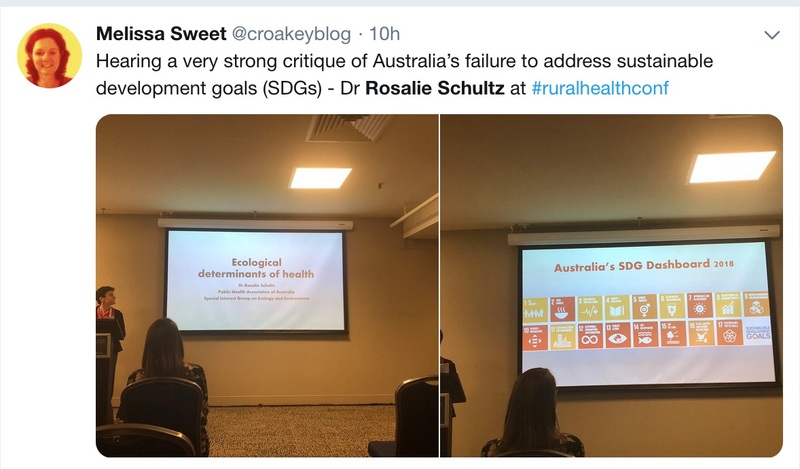 Australia is not on track to achieve any of the 17 Sustainable Development Goals (SDGs) and our “shameful” scorecard shows we are going backwards on many of these, a national health conference was told yesterday. 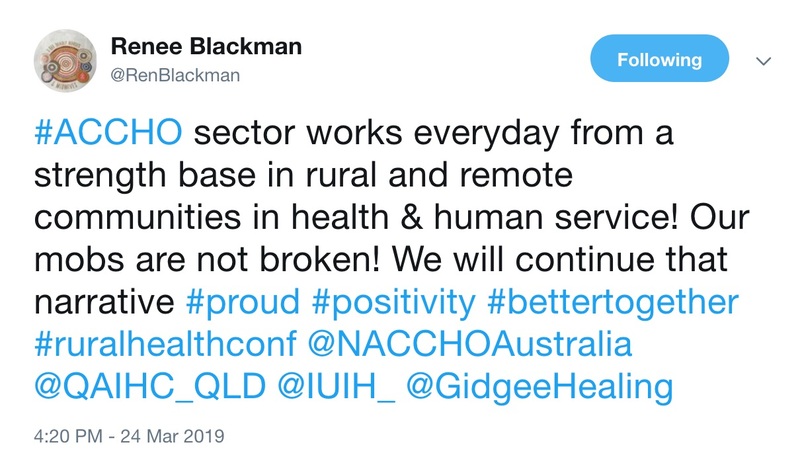 Australia is a signatory to a United Nations agreement setting a goal to achieve the SDGs by 2030, recognising that all nations must ensure sustainability, with many of these goals being important for health. 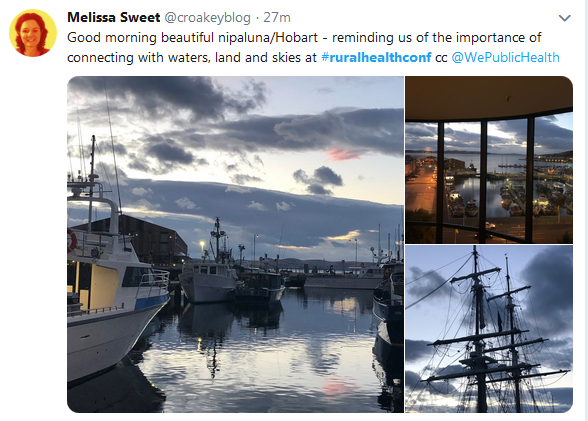 At the first assessment of the SDGs in 2015, Australia was ranked 18th in the world, while in 2018 we were ranked as 37th, Dr Rosalie Schultz, a GP and public health physician, told the National Rural Health Conference in nipaluna/Hobart. 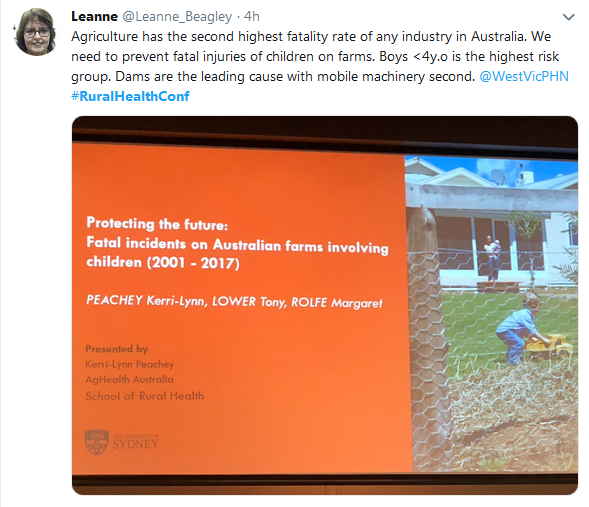 Australia does poorly on SDG 2 – to end hunger, improve nutrition, and promote sustainable agriculture – because of poor nutrition manifesting as high rates of obesity and because Australian agriculture uses large amounts of fertiliser, Schultz said. Australia rated poorly on SDG 7 – affordable and clean energy – because of high CO2 emissions per unit of energy and low levels of renewable energy. Only 8.4 percent of our electricity comes from renewable sources, compared with the best performing country, Iceland, which uses renewable sources for 78 percent of energy needs. 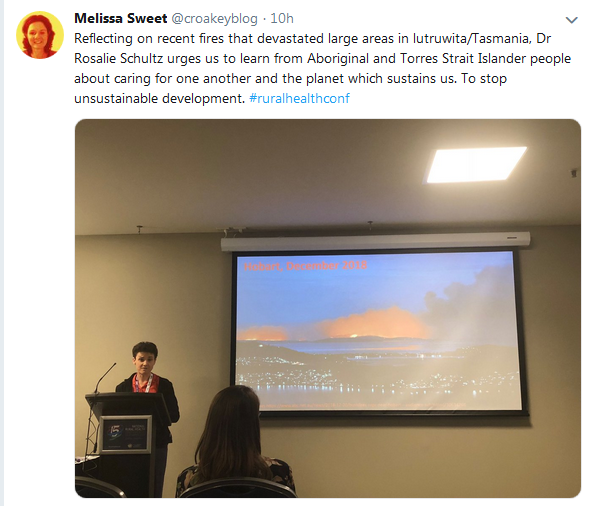 We also rank poorly on other SDGs, due to almost two-thirds of Australia’s fisheries being over-exploited or collapsed, and high rates of land clearing, with 7.6 percent of our forests lost each year for pastoralism and agriculture, she said. 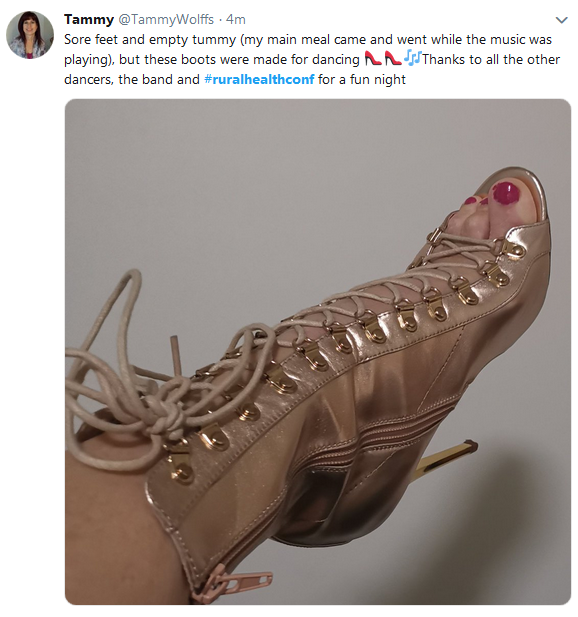 She described increases in anxiety disorders, suicide, and substance abuse as “manifestations of our unsustainable development”. Schultz called on the Federal Government to put responsibility for the SDGs under the Department of Prime Minister and Cabinet rather than its current location, the Department of Foreign Affairs and Trade, to drive a whole of government approach. It’s the country, the land that we need to be caring for. Rather than having goals of economic growth and “more and more things”, the goals should be “better lives for more people through better use of the land, better care of the biodiversity, care of the water”. 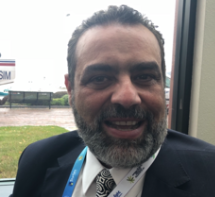 At the conference, Schultz and a rural GP leader, Dr Ayman Shenouda from Wagga in NSW, put forward a joint recommendation urging the establishment of place-based planetary health teams to develop understanding, awareness and adaptation to planetary change including climate change. If things don’t come out of the community, it will never happen. 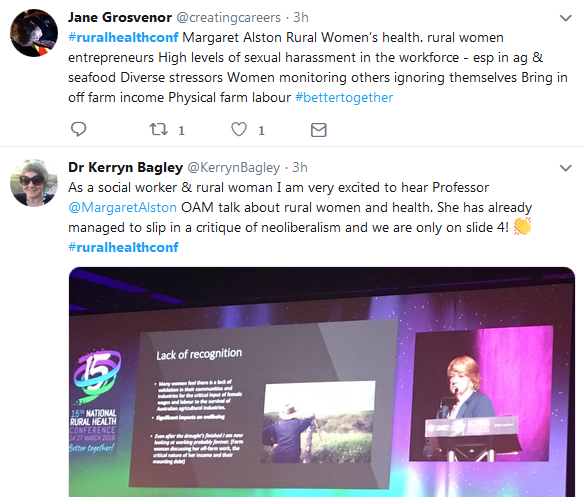 Conference delegates also heard a strong call for nurses to step up on climate action and planetary health, and to reconceptualise themselves as “planetary nurses”. 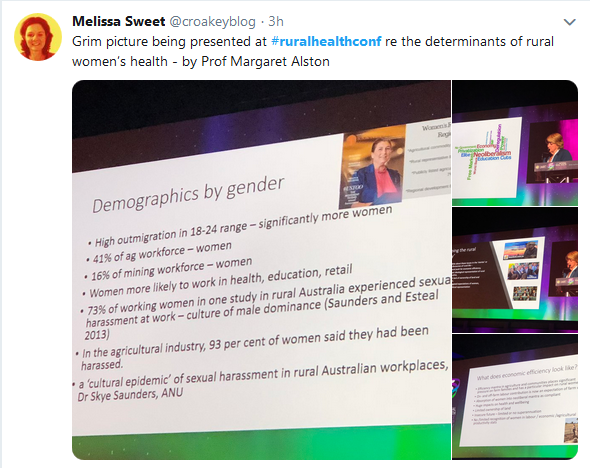 Professor Jane Mills, an Australian academic who is now Pro-Vice Chancellor, College of Health at Massey University New Zealand, said she focused her calls for protecting planetary health on nurses because they, together with midwives, globally account for nearly 50 percent of the health workforce. Mills said she was not suggesting planetary nursing as a new discipline, but rather as a paradigm for all nurses. It was a way of making the SDGs, which could otherwise seem like abstract concepts, relevant to the daily practice of nurses. 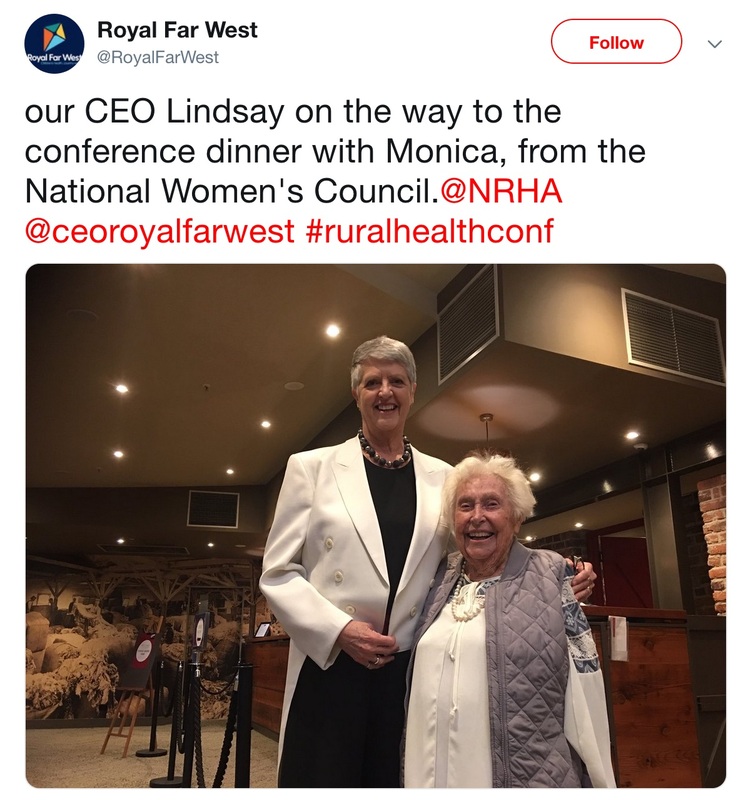 “For health care professionals, and in particular nurses, there is a risk of disconnect between their professional lives, and these global aspirations,” she said. 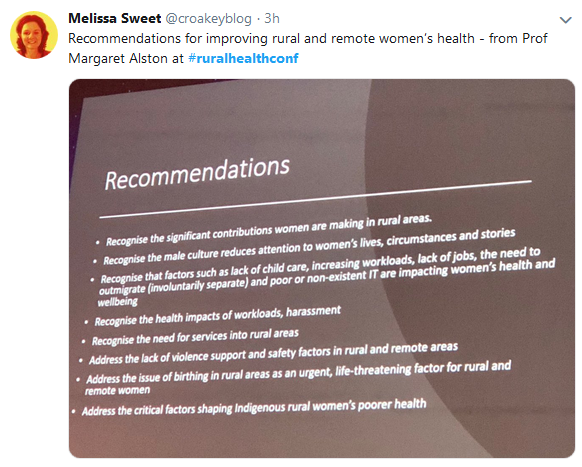 Mills urged professional nursing organisations, such as the Australian Nursing and Midwifery Federation, to take a leadership role in planetary nursing and encourage their members to speak up. 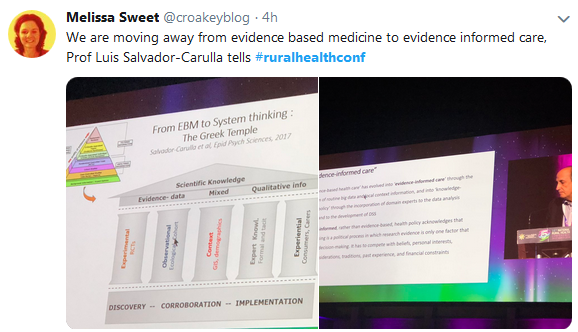 Healthcare accreditation bodies also should weave the SDGs into accreditation standards. 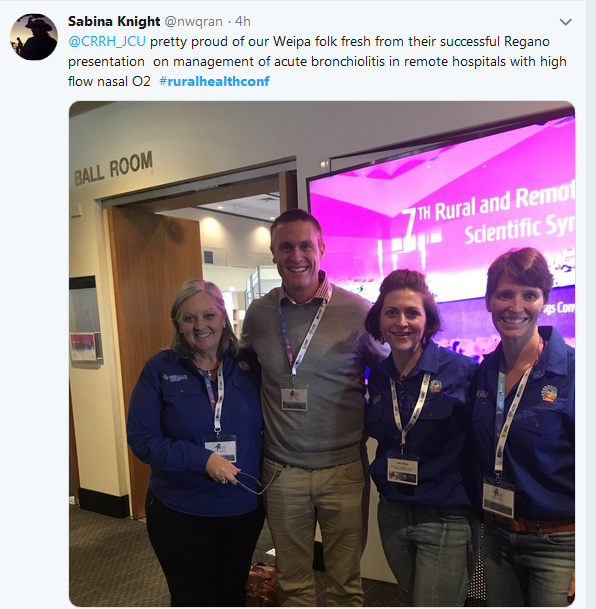 She urged nurses to consider forming a ‘green team’ in their workplaces, to question the use of disposables in healthcare practices, to reject bottled water for drinking, investigate climate friendly methods of waste disposal and advocate for a move to renewable energies at work. 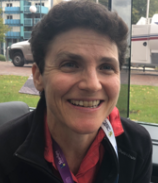 “Consider using low emission forms of transport to get to and from work – walking, biking and car-pooling saves money and the planet,” she said. 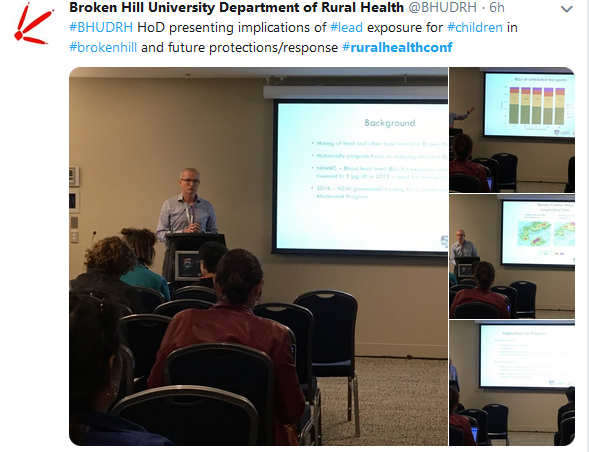 Health professionals can also help educate whole communities about the health effects of global environmental change and advocate for policies that integrate health care and environmental care at the primary level, Mills said. “The time has come where we have to start questioning many of our actions in the health care system every day and thinking about the enormous amount of waste that we generate and the impact on the planet,” Mills said. 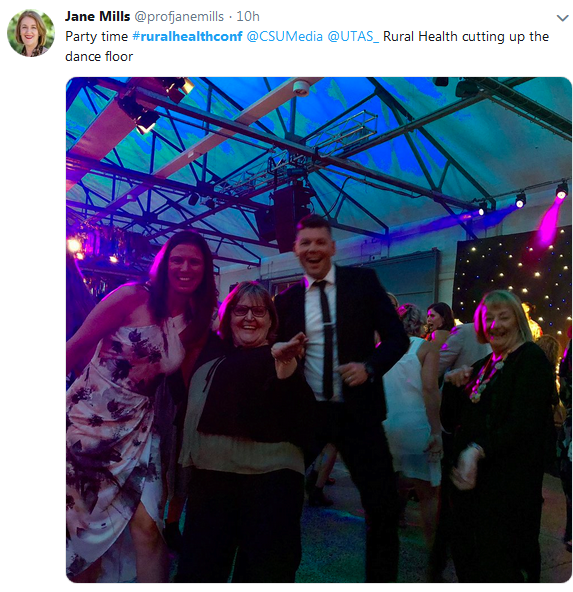 Similarly, Mills urged the rural health sector to shift its thinking about rural health beyond its traditional focus on access to equitable services, workforce supply and sustainability, occupational health and safety, and mental health. 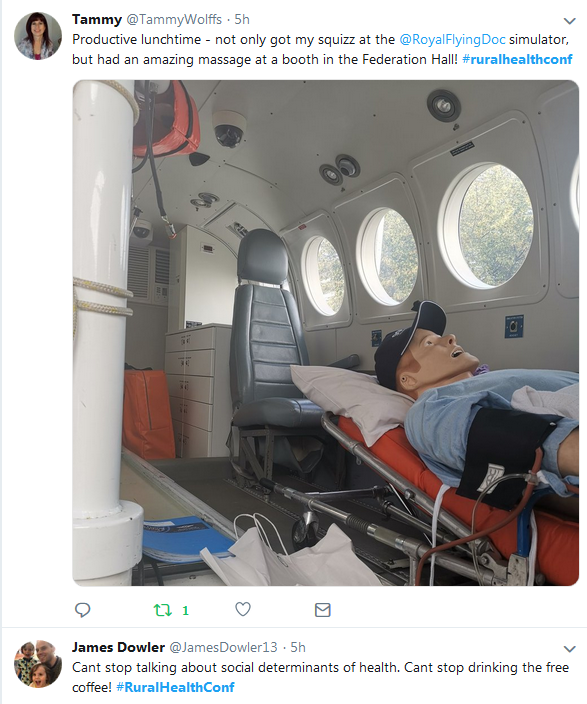 Mills told Croakey that Massey University plans to establish a big centre focused on planetary health/eco-health. Why do we need planetary, place-based teams? 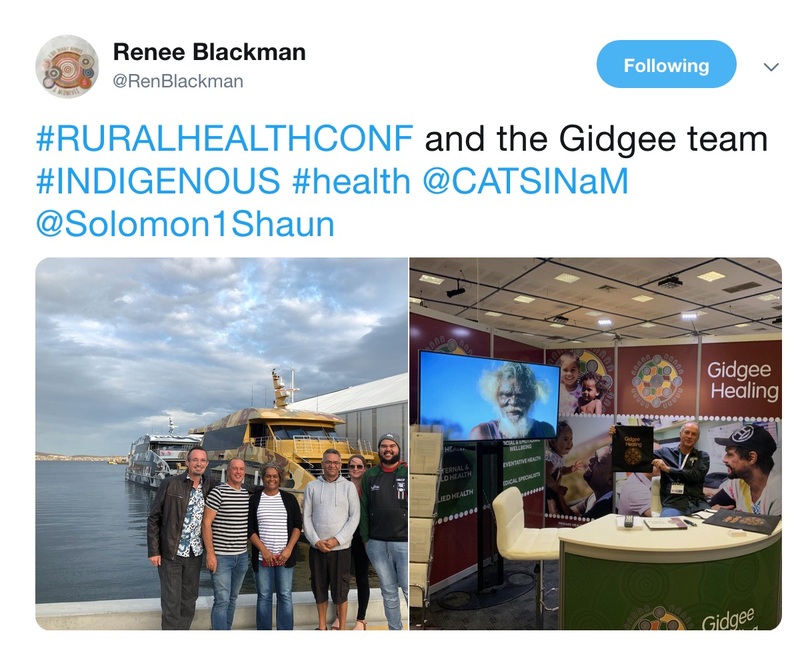 Public health physician Dr Rosalie Schultz and rural GP Dr Ayman Shenouda explain. 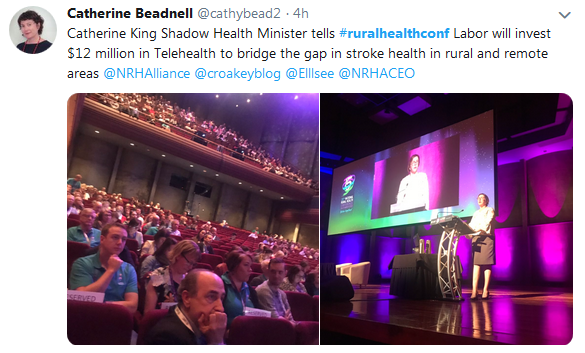 You can bookmark stories from the #ruralhealthconf here. 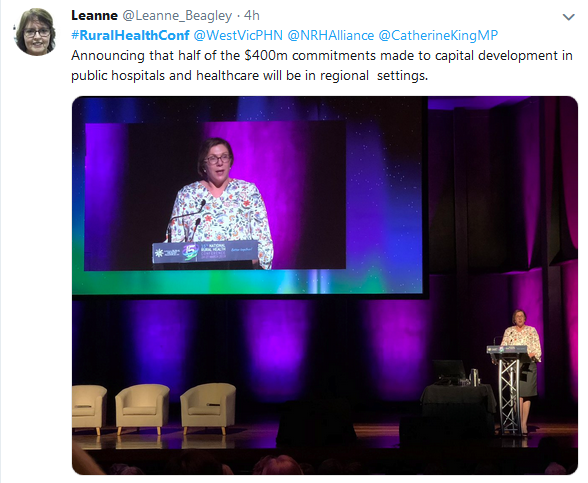 Week 1: time to swap blue gowns for blue sky thinking in #AusVotesHealth?